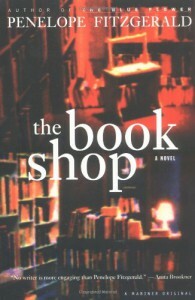 Here's a charming story set in 1959 about a middle-aged English woman who decides to open her town's first book shop. Sleepy and set in its ways, the town and its inhabitants range in their reactions, with Florence picking up one enemy in the effort. Fitzgerald illuminates the good and bad of small towns in this brief novel, with humor and a deft touch for character.